I happen to love the planet upon which we live. I even like it’s color scheme: 70% ocean blue, 25% gritty caramel crust, and a sundry 5% beautiful sulfurs, gems and other colorful carbons and chemicals. 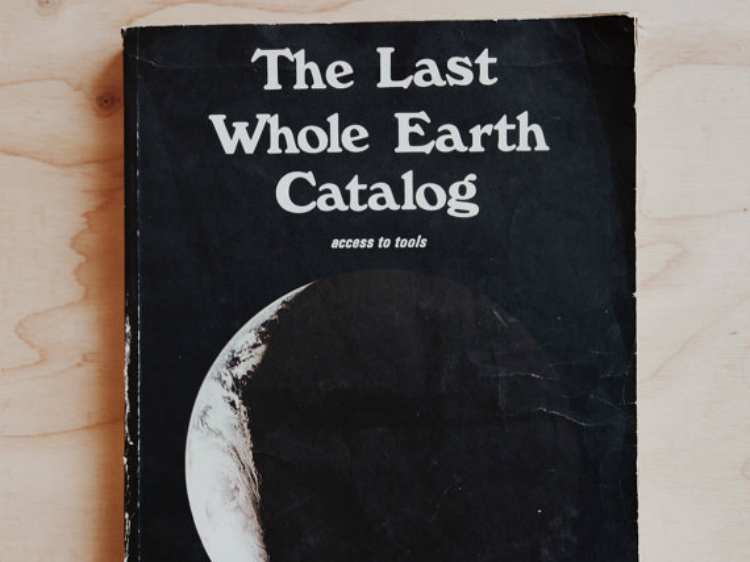 The Last Whole Earth Catalog: Access to Tools (1971) The WHOLE EARTH CATALOG functioned as an evaluation and access device. With it, the user should know better what is worth getting and where and how to do the getting. Stay Hungry. Stay Foolish. Published regularly from 1968 to 1972, this tome led the counterculture back-to-the-land eschewing industrialism. Although the Earth has seemingly been around for 4.54 billion years (but who’s counting? ), Earth Day was only first celebrated in 1970, and is now coordinated globally by more than 192 countries each year. We humans were a little late to the game of terrestrial appreciation.